Driving down the road no 1 from Toruń to Gdańsk, after covering 30km, past Falęcin you need to turn right towards Papowo Biskupie. Then drive straight the whole time through the village and turn left towards Folgowo. After covering around 500m the ruins will stand on the hill on the right side of the road. 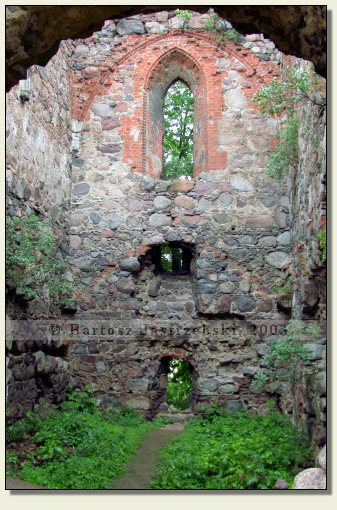 The Teutonic castle in Papowo Biskupie came into being in the 80s of the XIIIth cent. as a residence of the convent. It fulfilled that role since 1287 till 1410. 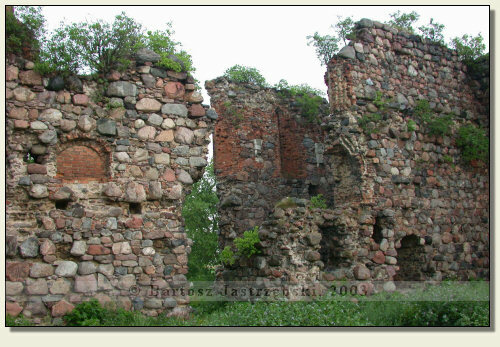 After the abolition of the commandery the stronghold in the years of 1425-1426 was the residence of the commune heads. 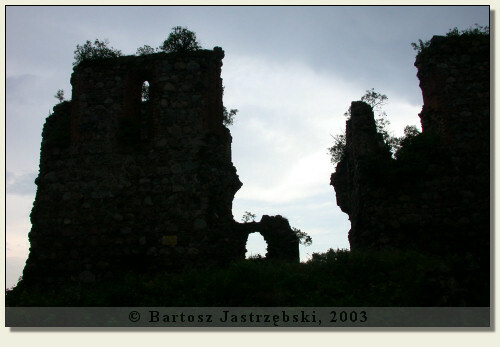 In the years of 1454-1466 Polish-Teutonic war led to the destruction of the castle, which in 1505 was passed to the bishops of Chełmno. The bishops used it till 1772 and made numerous reconstructions at that time.